Homeowners seem to enjoy installing a skylight in any room. They are the perfect addition to a bedroom or bathroom inside of the home setting. People love to see a skylight window when they purchase a home as well. It represents a substantial upgrade that will cast brilliant light in any environment. That cuts down on the need for artificial light in any room. Prevent having to install all new light fixtures by just installing a skylight. That is a beautiful feature and should appeal to homeowners everywhere. Homes in favorite locations could benefit from the new sunlight installation as well. Sunlight rays can offer health benefits to homeowners as well. Sunlight will warm and sooth the skin in any setting. People want to cast brilliant light and sunshine is a convenient option for that. Take advantage of warm weather climates that offer year-round sunlight too. Improve any room with the addition of a skylight, if you can install. Sunlight provides a natural source of Vitamin D for the body also. That might be important for those that need added Vitamin D sources each day. People can recover from ailments by sitting under a skylight. Different types of skylights can be installed. The fixed skylight is the most common and people want to see various features with them. They are fashionable and will stay in place once they are put in to place. The fixed skylight has a low chance of cracking after years of use. The tubular skylight is another popular request that homeowners tend to make. Cooper Roofing offers the opportunity to install a sky tube. That is a tubular skylight that is a top choice with Cooper Roofing in Vancouver. Cooper Roofing has a full gallery of projects that are handled over time. The reviews are coming in for Cooper Roofing services too. Homeowners appreciate how much time they have to make a decision. Cooper roofing is handled with professionalism and expertise on every level as well. That is proving to be a significant turning point for a lot of homeowners in the city. They use tempered glass for the project, which is the right choice people want to make. Cooper roofing is a leading request that their clients tend to make. Reviews are being assessed for the Vancouver roofing service in good time. The price tag for the work will be assessed at the start of the project. Cooper Roofing performs a trusted team that everyone wants to request. A skylight could be an expansive project that people want to follow. A lot of people has used that example in good time. The skylight is a valuable addition and could improve the value of the house itself. Consider the price and trust the details related to the skylight installation. Laminated glass is cost effective and can further reduce the price tag. Contact Vancouver’s number one roofing company Cooper Roofing at 778-773-3124 or get your free estimate at https://cooperroofs.ca/get-a-free-estimate/. 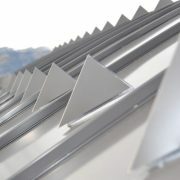 Does Your Home Need Roof Ventilation? What Causes a Cedar Roof to Warp?